Planning a destination affair for your second wedding? If new to the concept, keep in mind it can be a lot of work, but also very fun and rewarding. Whether getting hitched in Aspen, the Virgin Islands, or somewhere else in the world, keep the following do’s and don’ts in mind to ensure your wedding is a wonderful success. Do not make the mistake of thinking a destination wedding is cheaper than a typical Big Day held at a church. Research destinations close to your heart to find something that is both lovely and affordable. After all, do you really want to make your bank account weep because you had to have your wedding atop a hillside in Saint Bart’s? Keep your expectations realistic and find something amazing. Definitely send your save-the-date notes out earlier than you would for a “regular” wedding. Friends and family have to plan when a wedding is out of town…or on another continent. They have to take off work, find cheap airfare, schedule babysitters, etc. Send your notes about two to two-and-a-half months prior to the wedding date so everyone involved has plenty of time to make arrangements. Research your wedding destination in terms of local laws, customs, and weddings. Obviously you don’t have to worry about this if your wedding is still in the U.S., however it is a very good idea to make certain legal marriages are possible in your chosen destination. Learn about any laws you should be aware of, if any paperwork is required, etc. Help everyone invited to your Big Day out by creating a wedding website. Include every relevant detail imaginable, from cheap airline and hotel links to rental car options to things to do in the area. This is all in addition to your wedding details and gift list, of course! Again, if adhering to certain local laws is an issue, include this information as well. Keep these do’s and don’ts in mind….and have a wonderful wedding day! What are your destination wedding do’s and don’ts? Share them in the comments! Watters always have a beautiful array of wedding gowns. They always coincide nicely with the current trends and there seems to be a design for every kind of bride. And that includes those looking for destination styles. Let’s have a look, shall we? 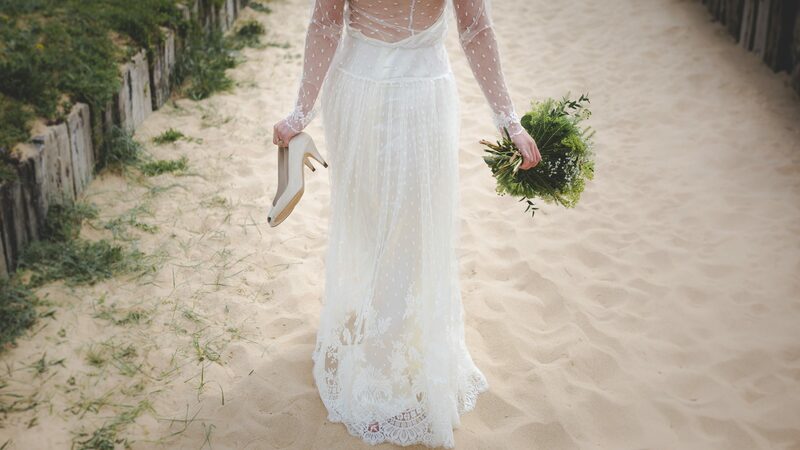 Top off your destination celebration with one of these Claire Pettibone wedding gowns. Full of whimsy, romance and beautiful, soft detailing, they’re perfect for packing and celebrating afar. Second Marriages – Do it in Style!